CN Roundhouse & Conference Centre ARE YOU A VENDOR? 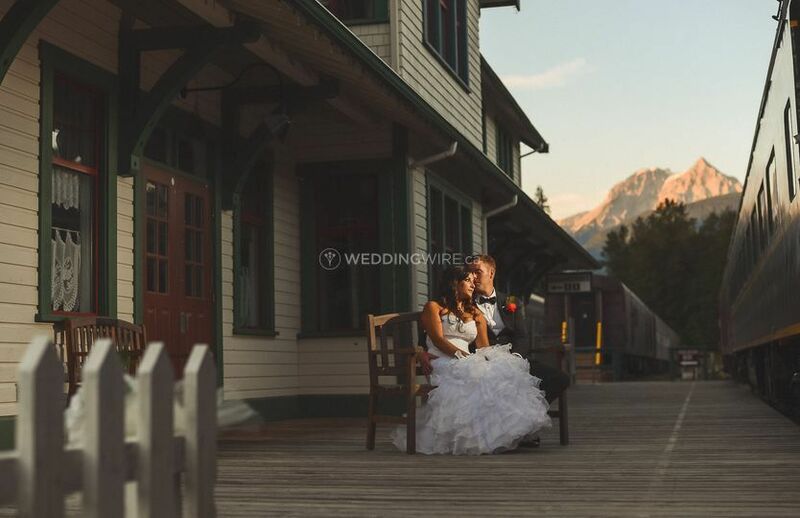 The CN Roundhouse & Conference Centre is unlike any other wedding venue. 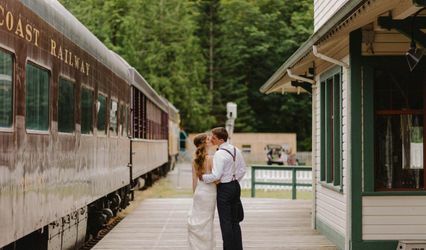 It is surrounded by the Squamish mountains and immersed in the history of the West Coast Railway Heritage Park. 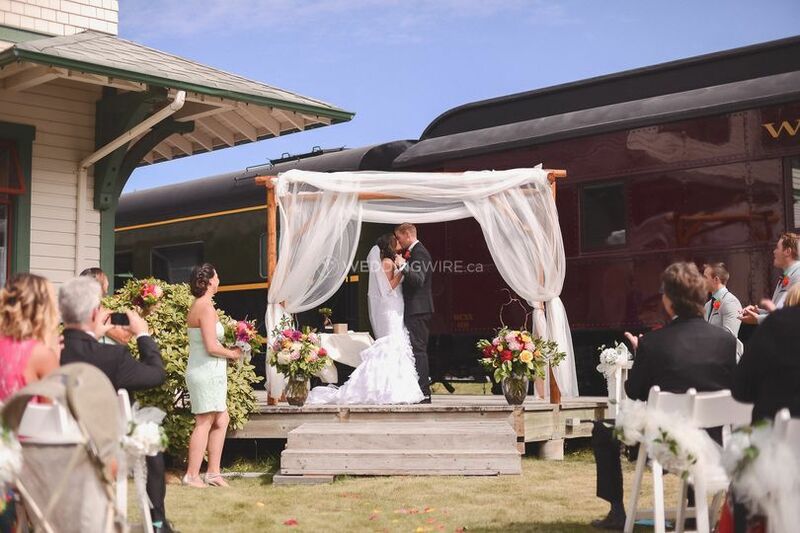 The Heritage Park features 12 acres of park space featuring an old town centre, train station, and many historic trains and exhibits. The Park offers an intimate setting as there are not multiple weddings taking place on the same day. 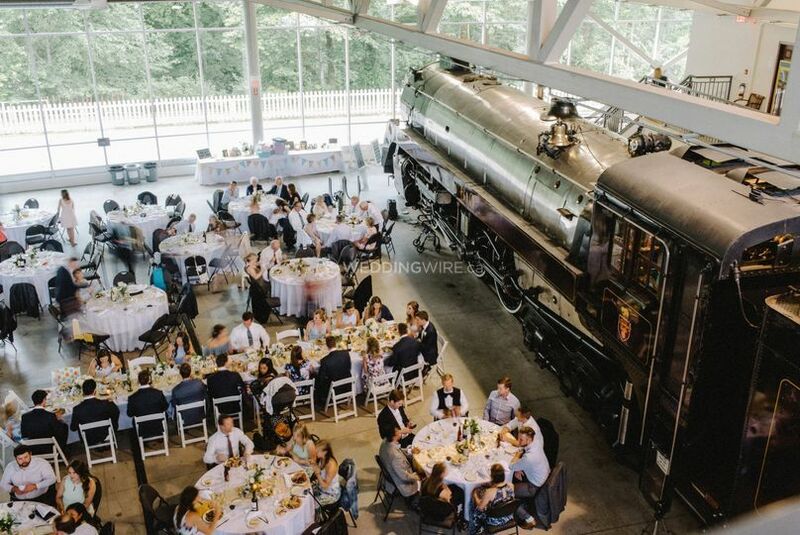 The CN Roundhouse boasts 20 ft. high floor-to-ceiling windows with panoramic views, 200 feet across with natural light and majestic mountain views. 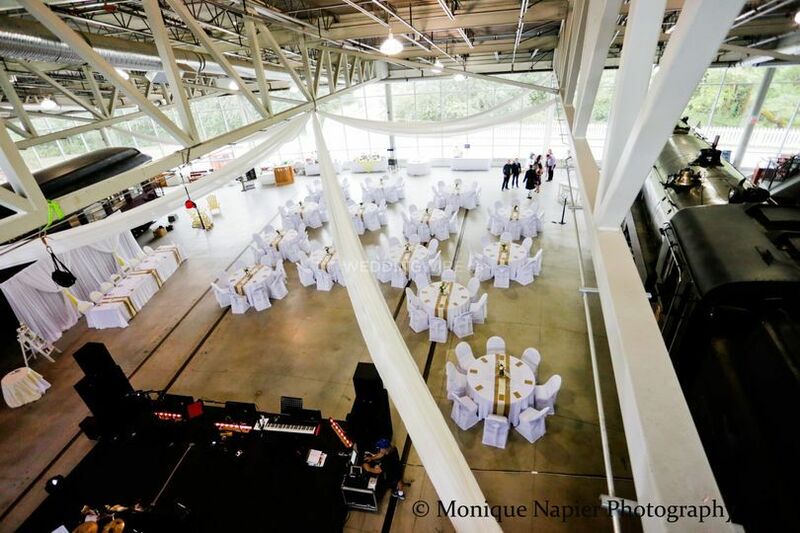 The grand hall can accommodate up to 1,200 guests - the largest event venue on the Sea to Sky with 21,000 square feet of indoor space. 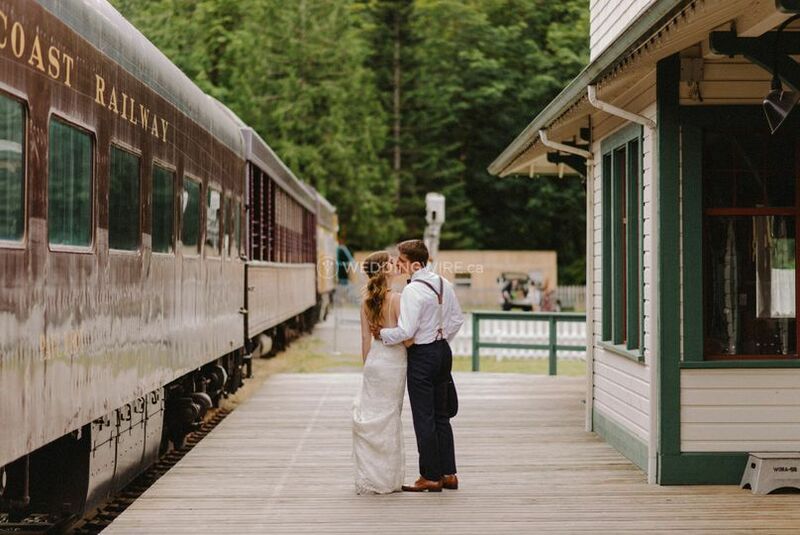 Up to 8 heritage trains can be moved in or out, customizing the space size to allow for more space or it being more intimate. It also features an indoor/outdoor mezzanine patio that is a great alternative for a cocktail reception or late-night dessert bar. There are also five sets of grand wooden train doors that can be opened up letting the outside in - spectacular on a sunny day. 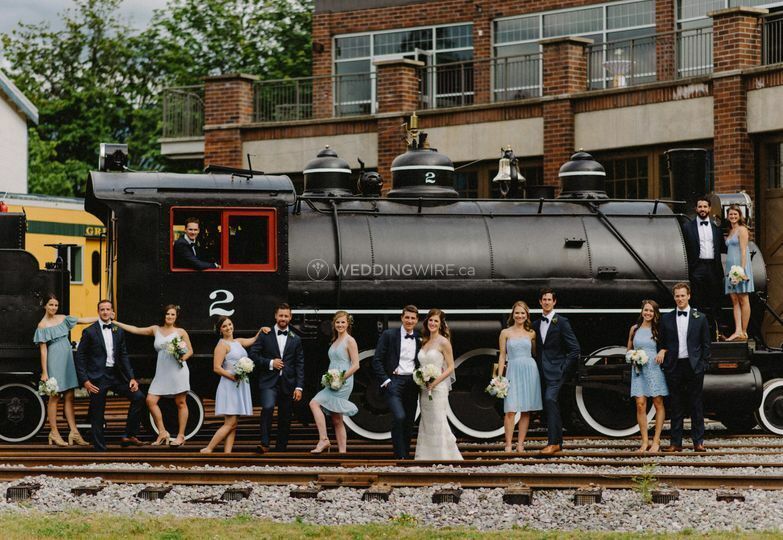 There is also the outdoor park lawn or garden space for your wedding ceremony before moving into the CN Roundhouse for your reception. 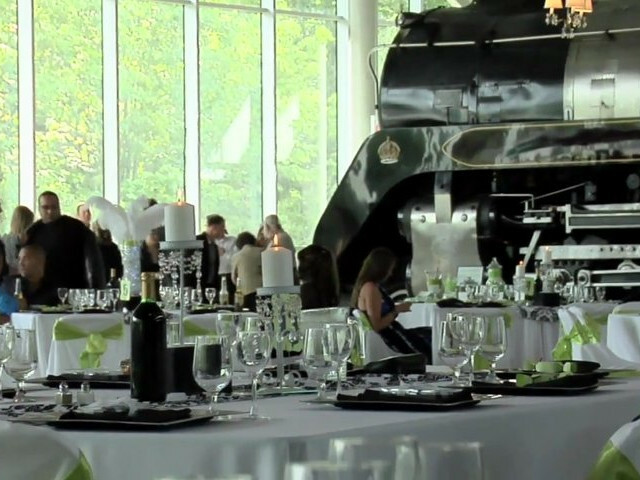 Full catering services are provided or you are welcome to bring in your own caterer or bar. Couples are also welcome to come in the day before your wedding to decorate at no additional charge. Complete privacy for couples, no other weddings will take place on your special day,. The 12-acre Park features a typical mid-20th century railway station and old style town centre with heritage displays and over 90 pieces of railway cars and artifacts. It offers a park setting with ample green space for an outdoor wedding ceremony or dinner reception. 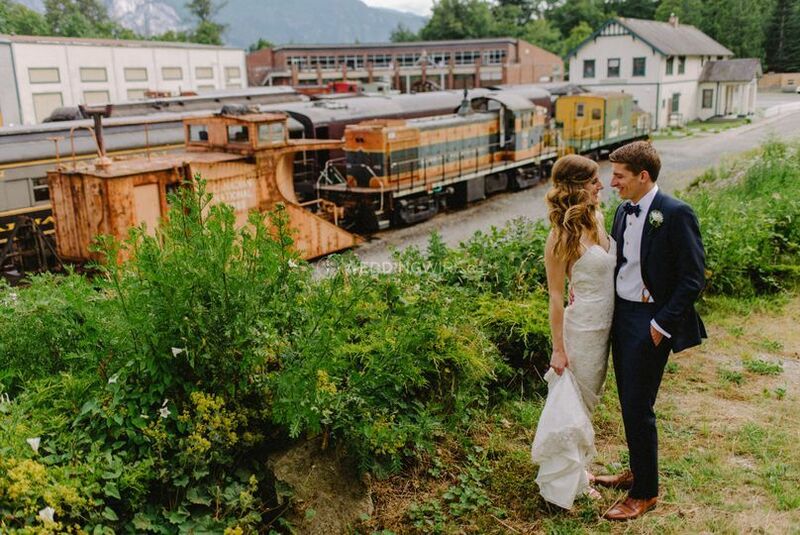 Our Mac Norris train station can also provide space for the couple to prepare or provide rustic photo opportunities.